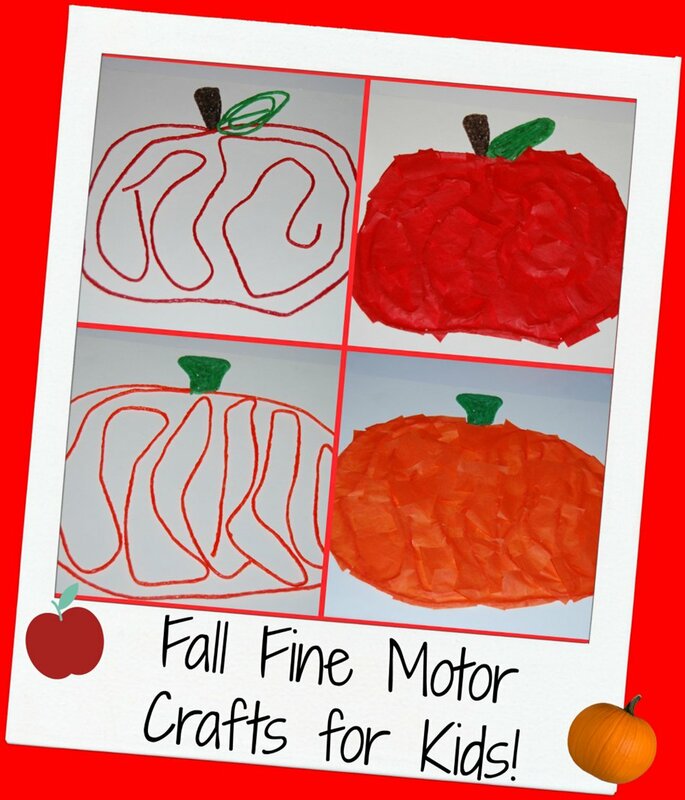 Easy Apple and Pumpkin Fine Motor Craft for Kids! With fall just around the corner, many are preparing for hot cider, cooler nights, campfires, pumpkin treats and all the bounty that comes with the fall harvest. For FUN fall displays that encourage fine motor skills, gather your Wikki Stix for awesome fall apple and pumpkin crafts for kids! 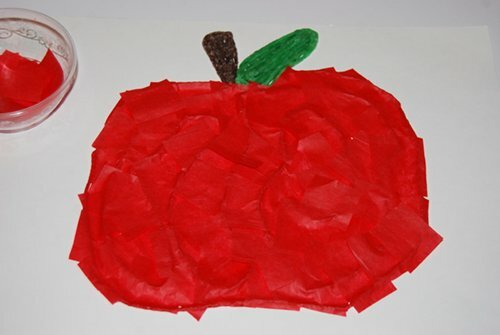 Apple Fine Motor Crafts for Kids! Give each child a sheet of white paper. 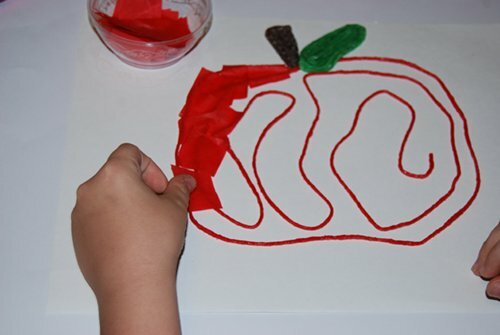 Have the kids use the red Wikki Stix to make an outline of an apple. If desired, the kids can add a brown stem and green leaf to the initial apple design. Invite the kids to randomly press Wikki Stix inside outline of the apple. There is no wrong or right way for kids to do this step – just press red Wikki Stix around the inside of the apple. Have the kids cut red tissue paper into squares (pre-cut for younger children prior to the craft). The kids can then stick the tissue paper directly onto the Wikki Stix. This is a mess-free tissue paper craft as no glue is needed! The completed Apple Crafts make great seasonal displays in the classroom, in childcare, or at home! Pumpkin Fine Motor Craft for Kids! 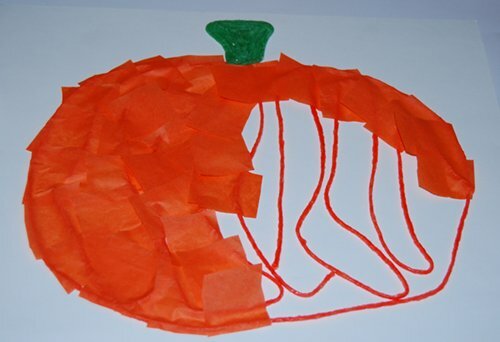 Have the kids use orange Wikki Stix to create the outline of a pumpkin on a white sheet of paper. 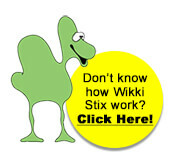 If desired, the kids can add a green Wikki Stix stem to the initial design. As in the apple craft above, have the kids use orange Wikki Stix to randomly fill in the white space inside the pumpkin outline. 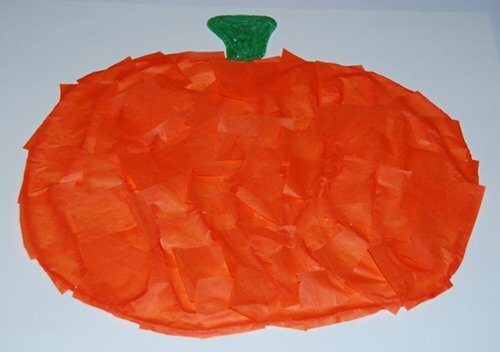 Invite the kids to cut orange tissue paper squares and press the tissue paper directly onto the Wikki Stix! The pumpkin fine motor crafts make a wonderful fall bulletin board display. Hang several pumpkin crafts and create vines with green Wikki Stix to connect the crafts. It’s an instant pumpkin patch that will delight kids of all ages! The BEST of Wikki Stix Fall Learning and Play for Kids!